Launching at our Friday night event this week is one of my very favourite sock yarns, the 80/20 Self Striping from an indie dyer who works in small batches from her kitchen in Southern Vermont. I was first introduced Lisa’s beautiful sock yarn when I was gifted a skein by her through a Ravelry group, along with a package of hand-made Vermont maple chocolates and some goat milk caramels from Lisa’s very own goats’ milk. 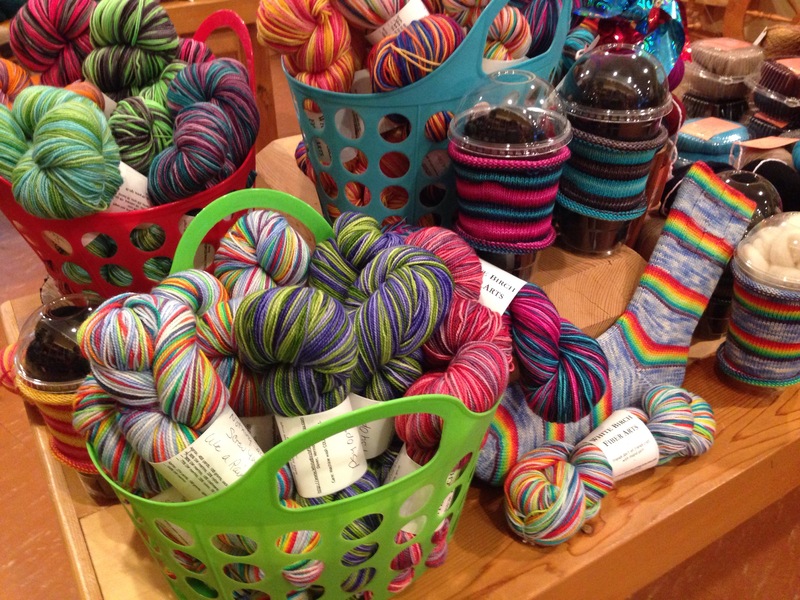 This lady knows how to win a knitter’s heart! And this yarn is equally amazing to work with, as every row is a surprise! Aptly named, Nothing Says Screw You Like A Rainbow. 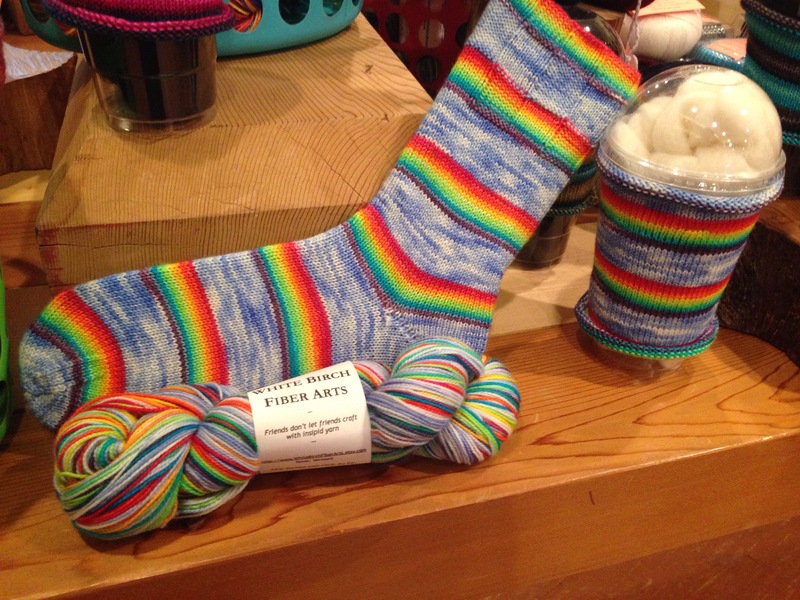 Knit up by one of our regulars, Cait. This sock yarn is 75% merino and 25% nylon and 100g/400 meters. 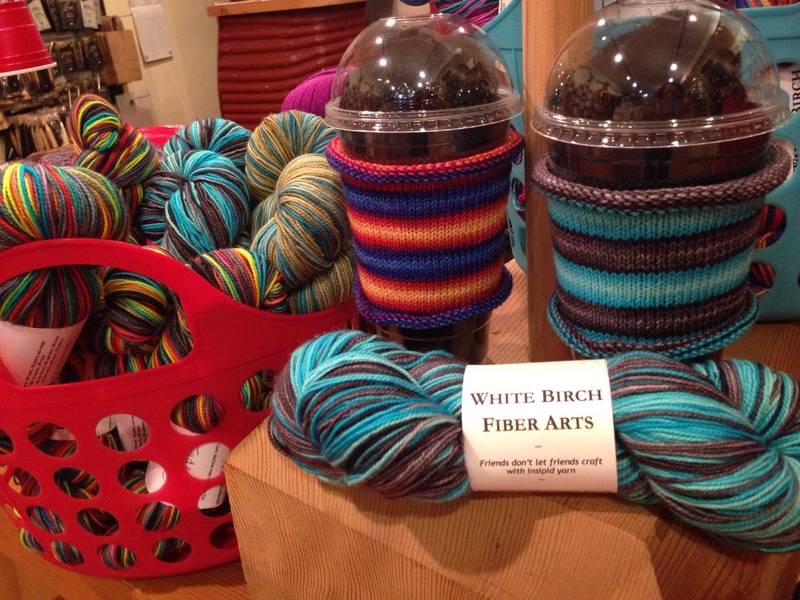 Stop in between 6:30-8:30pm at our Summer of Sock Launch Event to check out all the amazing colourways, as Lisa has fun not only creating amazing colour combinations but equally colourful names to boot! Rainbows and stripes and bright colours, oh my!